Cheers POS is 108 proof – it’ll pack a punch! Support team that enjoys craft beer talk. We like drink craft beer after work. We can relate. Why Should You Select Cheers POS? Cheers POS is the only cloud based point of sale system designed primarily for liquor stores. We know what you need for your business because Cheers POS was started by us, two liquor store owners who could not find a point of sale solution that fit our store’s needs. That inadequacy impacted our business, decisions, and bottom line. We did not like that we had to settle for something not for us and we knew we needed a better option for our business in the 21st century. Cheers POS is engineered to be the solution that all liquor and wine stores need. We do not want you to settle for a retail template that treats your business as one of theirs, nor do we want you to settle on expensive software that will become obsolete in a few years. Cheers POS was designed exclusively for you and your business. The Best Liquor Store POS on the market. Your complete liquor store — anywhere — at your fingertips. Get your liquor store consultation Free. Register Now! Cheers POS is a true liquor store solution. They provide all the good features I use including wholesale, distributors, inventory, gift cards and more. I strongly recommend Cheers POS for your liquor store, you won’t regret it. Let’s talk. Call us Toll Free (844) 342-8767 Today! Supercharge your liquor store CALL NOW. The best part of Cheers POS, though it is hard to choose, is that you can check your business ANYWHERE there is Internet connection. You do not need another licensing fee to check your business at your home or on vacation because this is YOUR business. Your information is safe and your business is at your fingertips. Cheers POS is your complete, secure, cloud based creation for your liquor store’s physical location. Cheers POS is the best liquor pos on the market because it is the ONLY cloud based liquor store pos on the market. The Cheers Point of Sales System is designed PRIMARILY for liquor stores. 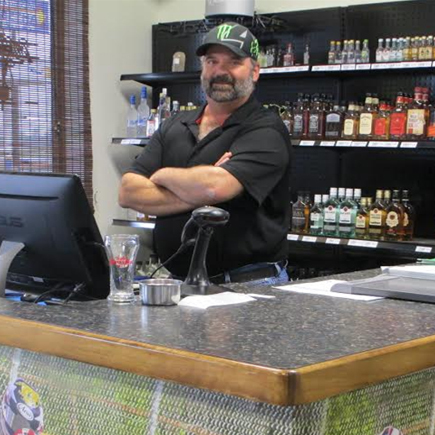 Cheers POS started when two liquor store owners were looking for a point of sale system. They did not find any suited to their needs, either modern, or specifically for liquor stores. The owners did not want to choose between a retail template and a clunky system dependent on software. After looking for a solution and not finding what they needed, they recognized that there was no liquor store point of sale system for the 21st century. They realized if they needed a point of sale system specific to their needs, other liquor stores needed the same. These two owners knew what they needed and they knew what they wanted. “The Cloud,” was the way to go so as to not take up any memory storage, like software programs do. They knew that their solution needed options for a business owner to take care of his/her employees, distributors, and customers. These owners decided to design Cheers POS to not only ring up all of your sales, but also to keep track of your entire business. Cheers POS is the cash register that can run your entire liquor store business.